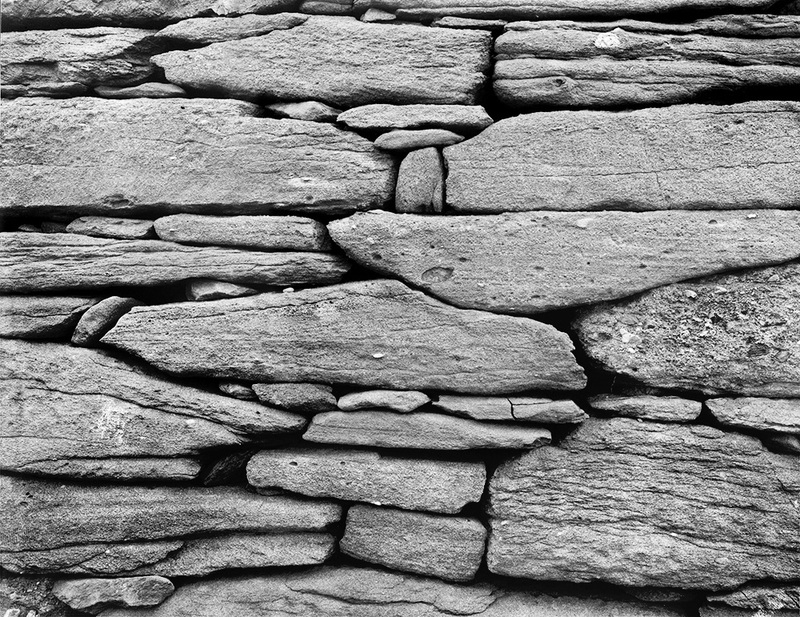 This is an image/text project using Irish stone Walls to explore narrative, beauty, time and the construction of historical and cultural meaning. Having traveled and photographed in Ireland, I sometimes conceive of it as a land built of stone, under inches of blood. It is nevertheless a land vulnerable to sentimentalizing, in song and image. My project resists the picturesque. 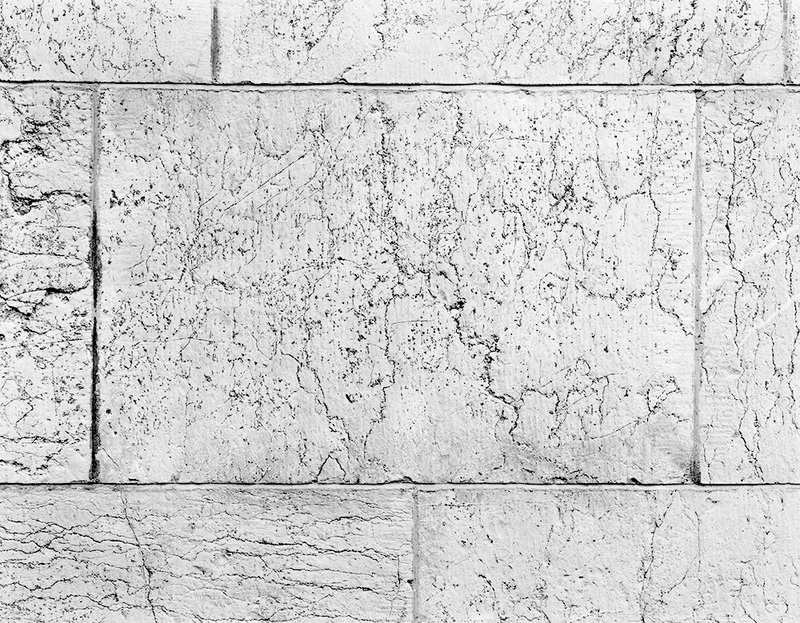 A wall is an assertion, perhaps political, sacred or domestic. There is an inside from which those on the outside are excluded or permitted within conditionally. Histories may be traced in the erection and breaching of walls. Ones that endure anchor stories. The Irish Walls Project is an allusive construction of an Irish past, suggested by walls at sites resonant in Irish history. I am told that there are a quarter million miles of walls in Ireland, each built one stone at a time by the mason’s hand. Whether seen in a castle, cathedral, field wall or fortress, examples of the surprising grace of his craftsmanship enriched my subject. My photographs are just what the stonemason at work might have seen, stepping back to appreciate a nice bit of his work. Besides the mason’s craft, layers of recent and geologic time and process may also be discovered in vines, ferns, lichens, mosses, spider webs, fissures and fossils. Beyond insights revealed by close examination, both stones and photographs are mute. Only if tied to viewers’ recollections can photographs prompt stories. Brief, suggestive texts enter my project to hint at the walls’ wider narratives. Few words are needed for an ancient mortar recipe requiring bullock’s blood, or to tell of twelve brothers who left for battle after breakfast, none returning to their castle for dinner. 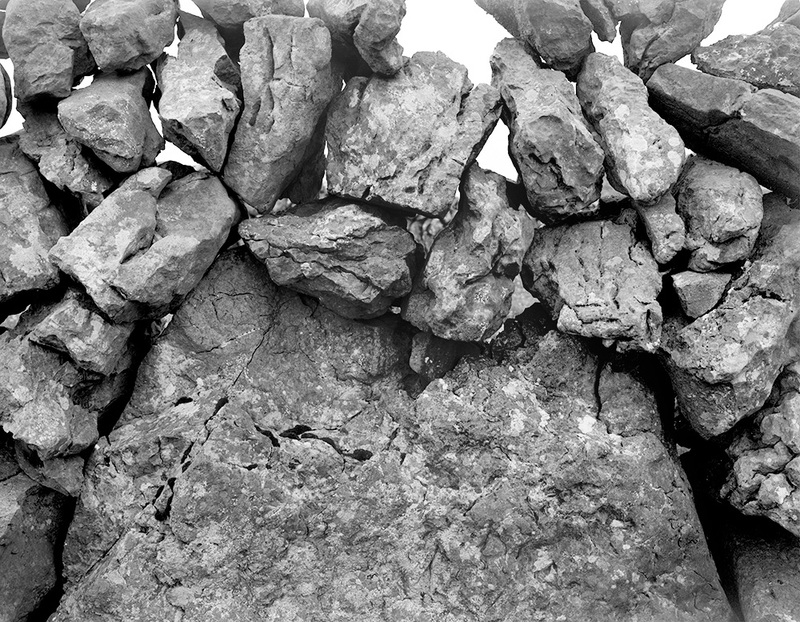 As stones join to constitute a wall, fragments of story coalesce into a tale of Ireland. The successful execution of this project will enable the viewer to imagine a wall constructed from fragments of sites of major and minor import from across Ireland and from south to north. The viewer’s mental wall will encompass the country and hold inside it his or her idea of Ireland.